Capitalism in space: Though Boeing intends to bring its manned Starliner capsule down on land, it has begun water recovery tests of the capsule, working in conjunction with Air Force recovery teams, to prepare for the possibility that it might sometimes have to splashdown in the ocean. While today’s test was the first in-water practice run for Starliner at sea rescue, it represents a much larger DoD commitment to space crew rescue operations – universal procedures that would be followed for Starliner, Dragon, and Orion. During ascent for Starliner, Dragon, and Orion, the 304th Rescue Squadron will have two teams stationed along the east coast of the United States, one at Patrick Air Force Base (just South of the Cape) and the other in Charleston, South Carolina. The Patrick team, Rescue 1, will be responsible for on-pad aborts that place a capsule in the water or for aborts in the first couple minutes of flight that place the capsule within a 200 nautical mile zone from the Cape. After that distance is exceeded, the Charleston crew (Rescue 2) would be responsible for rescue of a launch-aborting crew vehicle anywhere else across the Atlantic. The third team, stationed in Hawai’i, (also part of Rescue 2) would be responsible for any after-launch immediate landing need or off-nominal Station return contingency that places a Starliner or Dragon in the Pacific. It appears that the responsibility for water recovery of American manned spacecraft has been taken over by the Air Force. Up until now SpaceX has performed its own water recovery for its unmanned cargo Dragon capsules. Capitalism in space: The startup rocket company Relativity today announced the signing of a second launch contract for its as-yet untested Terran 1 rocket. Relativity, the world’s first autonomous rocket factory and launch services leader for satellite constellations, today announced a partnership with mu Space, the innovative Thai satellite and space technology company, to launch a satellite to Low Earth Orbit (LEO) on Relativity’s Terran 1 rocket, the world’s first and only 3D printed rocket. The first contract was with the well-established satellite company Telesat. The rocket, Terran 1, is scheduled for its first orbital test flight at the end of 2020. So, where does Relativity stand among the leaders in the new smallsat commercial rocket industry? Let’s do a quick review. Rocket Lab is of course far in the lead. It has launched four times, and its Electron rocket is now operational. Second in this race is probably Virgin Orbit. The company has won several launch contracts, and says it will begin launch tests momentarily of its LauncherOne air-launched rocket. Next comes Vector Launch, though some might argue it is ahead of Virgin Orbit. This company has obtained a large amount of investment capital, has completed two test suborbital launches, has a number of launch contractsl, and hopes to do its first orbital launch later this year. After these three companies there is a pack of rocket companies, all with investment capital, tentative launch contracts, and rockets that are only in the development stages. These include Exos Aerospace, Relativity, and Firefly, with Exos probably in the lead as it has already test flown its reusable SARGE suborbital rocket. This list does not include the pseudo-private Chinese rocket companies, OneSpace, ISpace, LinkSpace, Landspace, and ExSpace, all of whom are independently developing smallsat rockets using Chinese investment capital but working under the supervision of the Chinese government. Several of these companies have attempted orbital launches. As yet none have succeeded. Nor have I included India, which has announced it is going to build its own smallsat rocket to supplement its larger PSLV rocket in order to maintain its market share in this new smallsat industry. I also have left out a number of European companies, all of whom are far behind but nonetheless exist and are beginning development. Other then the already-operating Rocket Lab, all of these companies are predicting their first rocket launches within the next three years. Some will succeed. Some will not. Nonetheless, the launch pace as we move into the 2020s is likely to get quite interesting. Bad news: A SpaceX man-rated Dragon capsule suffered an “anomaly” during an engine test today. At the moment we do not have much information. We do not know if this capsule was the one that flew in March and was going to be used in the launch abort test prior to the manned mission, or whether it was another capsule planned for the manned mission itself. Nor do we know what the problem was, or if it was a SuperDraco thruster that failed. 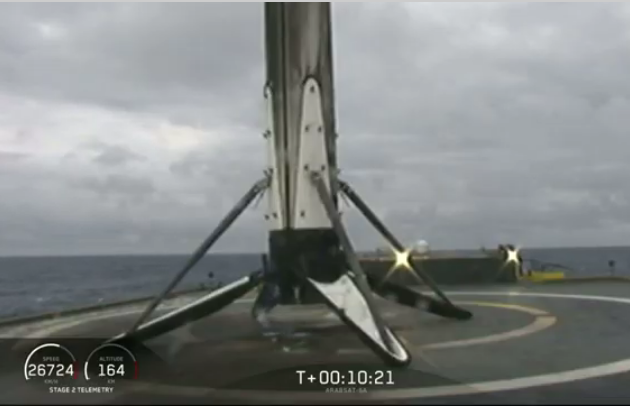 Regardless, this is going to cause a significant delay in SpaceX’s flight schedule. While they might be able to complete an investigation and resume flying within months, NASA will insist on a NASA-type investigation, drawn out for far longer, possibly years. Surprise, surprise! An independent study, ordered by Congress, has determined that NASA’s Mars exploration plans are infeasible and cannot get the U.S. to the red planet in 2033 as NASA claims. I guarantee that even if NASA got a blank check from Congress it could not make the 2037 date above either, not if they intend to use SLS, Orion, and Gateway. This report was ordered by Congress as part of the building political desire in Washington to shift gears away from SLS and to the private sector. SLS has too many vested interests, both in and out of Congress, for the cowards in Washington to just shut it down. In order to do so, they need ammunition they can use against those vested interests. This report, though stating the obvious, gives them that ammunition, as it carries an official think tank stamp, something the mediocre minds in DC require for them to take any forthright action. At the same time, I can see the corrupt porkmeisters in Congress, such as Senator Richard Shelby (R-Alabama), drooling over this report. They see the gigantic budget and endless time it estimates NASA will need to go to Mars with SLS, Orion, and Gateway as a feature, not a bug. “As such,” the report concludes, “a mission to Mars orbit in 2033 is infeasible from a technology development and schedule perspective.” The next launch window, in 2035, was also deemed infeasible because of technology development work, pushing the earliest possible date for flying the mission to the following launch window in 2037. STPI also estimated the cost of carrying out this first Mars mission in 2037. The report estimated the total cost of just those elements needed for the Mars mission, including SLS, Orion, Gateway, DST and other logistics, at $120.6 billion through fiscal year 2037. Of that total, $33.7 billion has been spent to date on SLS and Orion development and associated ground systems. Another $90 billion in pork, spread over twenty years! Wow, that’s exactly what many of the thieves in Washington like. This wasteful spending won’t serve the nation’s needs by making us a competitive space-faring nation, but it will distribute a lot of money to the people who donate campaign dollars to these politicians. Which way will we go? I have no idea right now. The voters could make a difference, if the voters finally decided to clean out Congress. I see no evidence of them doing so, however, so expect bad things for the future. Capitalism in space: Blue Origin has finalized a lease agreement with NASA to refurbish and use one of its old engine test stands, sitting idle since 1998. Constructed in 1965, Test Stand 4670 served as the backbone for Saturn V propulsion testing for the Apollo program, which celebrates its 50th anniversary this year. Later, it was modified to support testing of the space shuttle external tank and main engine systems. The facility has been inactive since 1998. According to the press release, Blue Origin gets this stand essentially for cost. It will pay for the refurbishment and any costs incurred by NASA, but other than that NASA is not charging them a fee. While I strongly support the concept of the government helping private enterprise, this deal has some aspects that concern me. Is Blue Origin going to be the only one allowed to use this test stand? If so, it appears that NASA is favoring Blue Origin over all other private companies, something it should not do. If Blue Origin’s work will make this stand useful again for everyone else, great. If instead NASA is essentially giving it its own private test stand for practically free, then not so great. Scientists for Lunar Reconnaissance Orbiter (LRO) have revealed that the small U.S. experiment on Beresheet might have survived the spacecraft’s crash onto the lunar surface. The NASA payload, known as the Lunar Retroreflector Array (LRA), is a technology demonstration composed of eight mirrors made of quartz cube corners that are set into a dome-shaped aluminum frame. These mirrors are intended to serve as markers for other spacecraft, which can use them to orient themselves for precision landings. The entire instrument is smaller than a computer mouse and lightweight. But it’s tough, radiation-hardened and designed to be long-lived, so the LRA may not have been destroyed by Beresheet’s hard landing. “Yes, we believe the laser reflector array would have survived the crash, although it may have separated from the main spacecraft body,” said David Smith of the Massachusetts Institute of Technology, principal investigator of the Lunar Orbiter Laser Altimeter (LOLA) instrument aboard NASA’s Lunar Reconnaissance Orbiter (LRO) spacecraft. They are going to use LOLA to try to find LRA. If they get a reflection, that experiment will essentially be a success, despite Beresheet’s failure. In announcing its planned ISS manned launch schedule through February 2020, NASA revealed a schedule that calls for one female astronaut to spend almost eleven months in orbit, a new record, but no planned commercial manned launches during that period. The planned record-setting mission would have Christina Koch spend 328 days in space. Part of the reason that NASA will do this is to gather more data on the long-term effects of weightlessness. Much of this research is repeating and confirming what the Russians already did on Mir more than two decades ago, but with today’s more sophisticated knowledge. It is also exactly what we should be doing on ISS, from the beginning. That NASA has only started to do it now, two decades after ISS’s launch, is somewhat frustrating. NASA is also extended Koch’s stay to give itself breathing room should the first manned flights of its commercial manned capsules, Dragon from SpaceX and Starliner from Boeing, get delayed. This schedule does not include manned missions from either, but that only illustrates the difference between NASA’s operational and test schedules. I expect that the first manned Dragon flight will occur in 2019, and that SpaceX will be able to begin manned operations before Koch returns. Boeing is farther behind. It is unclear right now when it will do its first manned launch. Capitalism in space: Northrop Grumman’s Antares rocket today successfully launched a Cygnus freighter to ISS. This was Northrop Grumman’s first launch in 2019. The company hopes to complete 4 launches this year. The U.S. however has widened its lead in the national rankings, 8 to 4. An engine problem during landing has caused Beresheet to crash onto the lunar surface. The image on the right was the last image beamed back by the spacecraft during the landing sequence. It looks down at the lunar surface from several thousand meters. This failure definitely slows down the effort to transition from government-controlled space exploration to a free effort by the independent citizenry of all nations. It does not stop it however. There are other private lunar missions already scheduled, and of course, there is the effort by SpaceX to build its own heavy-lift rocket to make interplanetary space travel affordable for all. The next decade will see this effort blossom. Beresheet’s failure is an example of those first baby steps, when the ability to stand is uncertain, and sometimes results in a fall. But babies turn into adults. The future is bright indeed. They have begun the live stream of Beresheet’s landing on the moon, with the arrival of Benjamin Netanyahu in the viewer’s gallery. It is in Hebrew, and will likely mostly involve watching people sitting at computer consoles, and then standing and cheering when the spacecraft lands. However, I have embedded it below the fold for your viewing pleasure. UPDATE: They are including English commentary. Capitalism in space: DARPA has chosen Vector Launch, Virgin Orbit, and a third unnamed company to compete for up to $10 million in prizes in its quick launch competition. The Defense Advanced Research Projects Agency (DARPA) is giving $400,000 to each of three companies chosen to compete in the “DARPA Launch Challenge” to demonstrate rapid and responsive launch of small payloads. Tucson-based Vector Launch, Virgin Orbit, and a “stealth” startup will now have the opportunity to compete for prizes up to $10 million for successfully proving they can successfully launch twice in a row within a short timeframe from being provided mission parameters, DARPA told reporters here April 10. First, I wonder why Rocket Lab was not picked. I suspect this is because it is already launching operational missions, and so does not need this developmental boost. Also, its rocket might not meet DARPA’s criteria. The launch systems of both Vector and Virgin Orbit are designed to allow them to quickly transport their rocket to any number of launch sites and go. Rocket Lab’s Electron appears to need a more established launchpad. Second, I wonder what that third unnamed startup is. There are more than two dozen in development right now, but I can only think of one, Exos Aerospace, that has actually done any successful test flights, albeit suborbital. Whether its reusable SARGE suborbital rocket, being used to incrementally develop an orbital version, fits DARPA’s needs is not clear. It could also very well be that DARPA has not actually chosen a third company, but has informed several that they can get that third slot, if they can achieve certain goals in a certain time frame. It could be that both DARPA and these companies would rather keep this private competition private. For the companies, they’d rather not advertise their failure to win it. For DARPA, the goal is to help, not hurt, the companies. 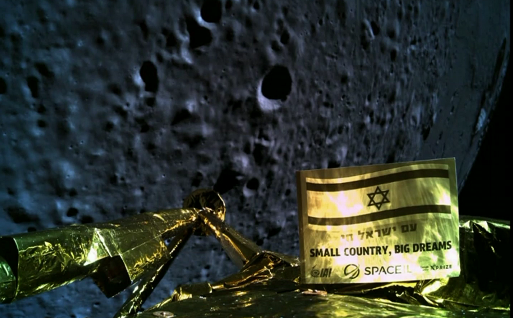 The new colonial movement: The privately-built Israeli lunar probe Beresheet has completed its last orbital maneuver before attempting a landing on the Moon tomorrow. The elliptical orbit now has a low point of 9 to 10 miles above the lunar surface. Capitalism in space: SpaceX has pushed its Falcon Heavy launch back to tomorrow, April 11, at 6:35 pm pm (eastern) tonight. No reason yet on why. The live stream is embedded below the fold, and will be available here when the launch happens. The new colonial movement: The privately built lunar lander Beresheet has lowered its orbit in preparation for its planned lunar landing on April 11, now set for between 3 and 4 pm (Eastern). It fired its engines on April 8 for 36 seconds, lowering its orbital low point to 131 miles. The landing will be live streamed here.